OXFORD, Miss. 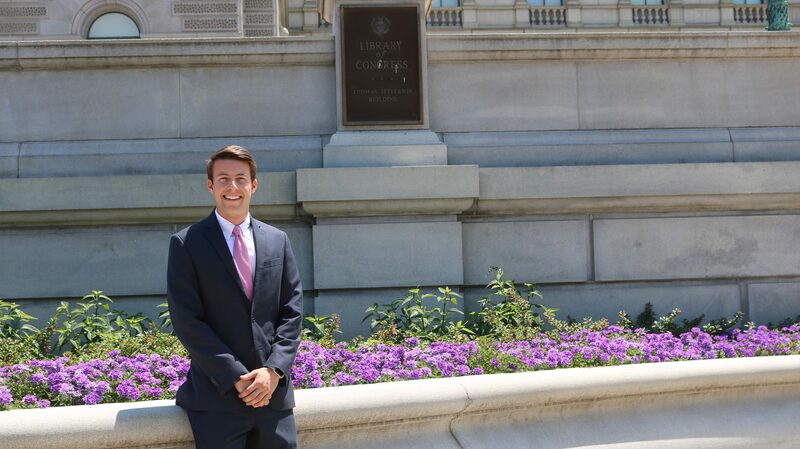 – A University of Mississippi senior has a prestigious internship this summer as a junior fellow at the Library of Congress in Washington, D.C.
Accountancy major Daniel Baxter, of Brandon, was among 40 people chosen as junior fellows out of more than 700 applicants. The Library of Congress is the world’s largest library, offering access to the creative record of the United States and extensive materials from around the world on-site and online. Its Junior Fellows Program allows interns to witness the extensive work done at the library. The program, which runs from May 29 to Aug. 3, gives the students projects across the library’s divisions. Baxter is working on projects for the National Book Festival. Some of his job assignments include documenting the history of the festival, producing a video on the importance of the National Book Festival to help promote it and assisting during the festival’s event planning process. For more information on the Junior Fellows Summer Internship Program at the Library of Congress, call 202-707-0698 or visit https://www.loc.gov/item/internships/junior-fellows-program/.